ROHNERT PARK, CA, August 8, 2018 – Falling prices for cryptocurrencies, and an uncertain regulatory environment, in 2018 haven’t deterred new crypto investment funds from opening, according to a new analysis from Crypto Fund Research. 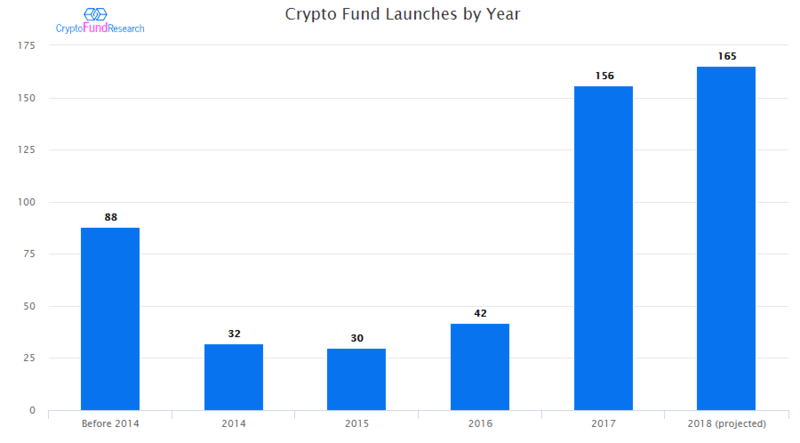 In fact, 2018 is on pace to surpass the previous year for the most new crypto fund launches. Through July 31, there were 96 new crypto hedge funds and venture capital funds, an annual pace of 165. This would surpass the record 156 crypto funds launched in 2017. More than half of all crypto funds currently in existence have launched in just the last 18 months. If 2017 was “the year of Bitcoin”, 2018 is shaping up to be the year of the crypto fund. While investors await decisions from various regulators on new investment vehicles, such as the bitcoin ETF proposed by Van Eck and SolidX, crypto fund managers are setting up new funds and hoping to take advantage of what they perceive as unmet investor demand for crypto investments. The pace of fund launches doesn’t represent the whole story, however. 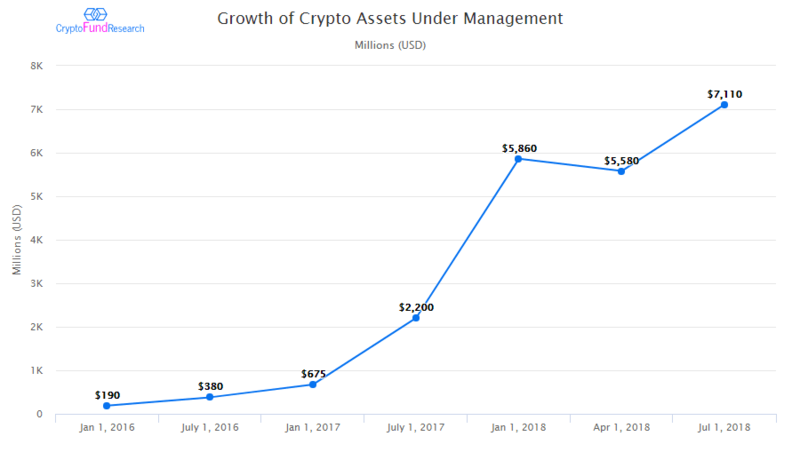 Though crypto funds are the fastest growing hedge fund strategy by number, overall assets are still quite meager. Crypto funds collectively manage just $7.1 billion – far less than many of the top traditional hedge funds. Most institutional investors remain on the sidelines, something many crypto fund managers hope will change in the coming months. In addition to the above, Austin, Dallas, Hong Kong, Philadelphia, San Diego, Tokyo, and Zug have all seen multiple fund launches this year. Crypto Fund Research maintains a list of more than 460 crypto funds. Crypto Fund Research provides proprietary research and market intelligence on the cryptocurrency investment industry and is part of The Blue Heron Group which has provided alternative investment research and consulting since 2007.